Do I Really Need Those CEUs While Pursuing Entrepreneurship? Are you finding you don’t have the time for CEUs when pursuing entrepreneurship? Maybe you’ve felt like taking another class or going to another conference was just a waste of time. But, when you take a closer look at those opportunities, not only are CEUs keeping you current in you position for the moment (and truth be told…. keeping you employed), what you get out of them can prove invaluable for you when you start your new business or plan on moving your business forward with those big goals. So often we get so eager to move on to another opportunity, we forget there’s still learning in the process. We get so eager to move on to another opportunity, we forget there’s still learning in the process. And if you’re on that journey to entrepreneurship, there are ways to stay fulfilled while moving towards a lifestyle of freedom. You can still benefit from what your current position may offer (and its necessary requirements), and you may even be surprised at what you can gain from the experience. In October, I attended the International Conference on Forensic Nursing Science and Practice hosted by the International Association of Forensic Nurses (IAFN) in Phoenix, Arizona. It was such an amazing opportunity to be there for the first time, and I spent four days learning new skills and exploring various opportunities in the forensic world of nursing, as well as taking notes on all the needed updates that I can utilize in my own forensic practice. It was also an opportunity to spend time with nurses who already share the same work and quest for knowledge on the same topic. Plus, we got the chance to participate in some much needed self-care activities, as seen in the photo below… hiking in the hills near our hotel. So how can attending events like the IAFN conference and earning CEUs help me (and you) in business? You can always learn a new skill. While at the conference, there were many sessions that increased my knowledge in the field of forensic nursing. At the same time, I was able to build on my skills that I utilize in my businesses as well. Of note was a session on public speaking. Although the talk was tailored towards nurses educating others on the work in forensic science, the whole session could have easily been applied to any field. From that talk, I took away many gold nuggets that I plan to incorporate into future speaking engagements, and I’m excited that I’ve learn new ways to connect with my audience. You can make new connections. You may be participating in an event because it’s required for your job or will help you learn something new, but the true gift is making a connection with people from all over the country, or in this case, the world. Now, I’m a true introvert. I thrive and get replenished from my alone time. I absolutely love solitude and being in the presence of my own thoughts and actions. However, being placed in an atmosphere where you’re constantly surrounded by new people lends itself to connecting with something outside of yourself. I had the pleasure of meeting and learning from people all over the world. And now, I have a new set of resources to pull from when questions arise or people to connect with if I’m just looking for an expert to guide me in my forensic practice or in my travel business. You can nourish the old connections. While I had the opportunity to meet new people, the Conference also provided ample time for me to get to know my own colleagues, their hopes, their dreams and their fears. We connected in ways that otherwise would have never presented itself when working together. Plus, we had so much fun in our downtime exploring the area around us and learning about each others joys and guilty pleasures as well. So although I attended the conference to help me in my current practice as a forensic nurse and earn CEUs, I gained so much more! What about you? What learning opportunities do you have coming up in your current position that could help you in your quest towards entrepreneurship? Marsha Battee is a Lifestyle Design Strategist for Nurse Entrepreneurs. With a passion for business & a commitment to self-care, Marsha is hosting a LIVE, 2-day event in April 2015 guiding nurses and nurse entrepreneurs in the care of their mind, body, soul & business. Want to know more and get EXCLUSIVE offers and discounts only for the Bossy Nurse Community? Sign up here, and you’ll be the first to get notice when registration opens. 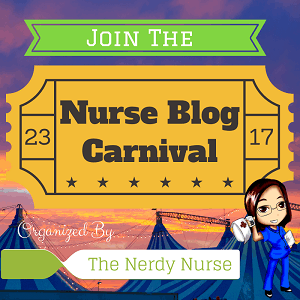 This post is included in the Nurse Blog Carnival. More posts on this topic can be found at The Days When I’m Not A Nurse. Find out how to participate. Marsha. I like what you say about every experience being an opportunity for entrepreneurs. This is something I just started doing last year after attending a conference by Darren LaCroix. He stressed how we should aspire to make connections every time. I now have about 10 different email lists. For example; New nurses, Church sisters, Men interested in Wellness….and the list goes on. Yes. I agree with you, even when getting CEU’s we can make business connections. Excellent post. Thanks for reading Joyce! Yes, every opportunity to meet people can give us wonderful connections, in business and in life! I love, love conferences! Going to one in July and can’t wait to meet new people and hear top notch speakers! Making new connections helps our business! Hi Beth! Conferences are my favorite ways to get CEU’s. I love going to different cities and learning in new environments. The networking and connections gained from attending conferences and live training events is vital! There may be additional costs associated with these types of CEUS, but they are worth it! Hi Brittney! Thanks for reading. I agree the costs can be worth it. Plus, it’s fun! This is such a great list, Marsha. I’m definitely going to put a conference on my to do list and also you’ve inspired me to keep these things in mind when presenting! Hi Beth. Glad that I’ve given you a bit of inspiration. Thanks for reading! Thanks for your ideas, Marsha! I’ve found that learning and exploring is also great source of new and timely material and inspirations for my writing and teaching. Priceless! Some of my most successful material rose in repsonse to such learning. Hi Greg! Yes, learning/exploring is where most of my material comes from. It is priceless. Thank you Marsha for your insight into CEU’s and entrepreneurship. As a nurse entrepreneur myself, I look for ways to take CEU’s in my chosen passion in the field where I am a nurse entrepreneur. Networking is KEY! Great thoughts! Thanks Joyce. Although I’m quite the introvert, I love the opportunities to network. It opens your mind to new ideas! The value you get from being a member of your professional organization and attending conferences is immeasurable. Along with the increased knowledge and skills gained, meeting and networking with other like-minded colleagues in inspiring. Thanks for sharing Dr. Rachel! I agree, the value you get for such a small cost is wonderful! We always make time for continuing ed when the subject matter relates to our sweet spot, our nursing niche and passion. Not only do I take continuing ed, I have created my own CEUs/ NCEs in YogaNursing®. Endless possibilities for entrepreneurial nurses. Thanks Annette for your post on ways to create your own CEUs at http://yoganurse.com/create-your-own-continuing-education-for-nurses. Very informative post! Wonderful post. I do agree that in person events are a great way to build, nourish and sustain connections. I like what you added to it about practicing your speech. Great post, thanks for sharing this useful information. Thanks for reading Elizabeth! I’m glad you found the information useful. Great information to take into account as one attends a conference. So much more valuable than just the continuing education opportunity. Very enjoyable and informative post. Thank you! Hi Lorie! Thanks for your comments and thanks for reading! How a Nurse Quit Her Job to Travel the World… And How You Can, Too!